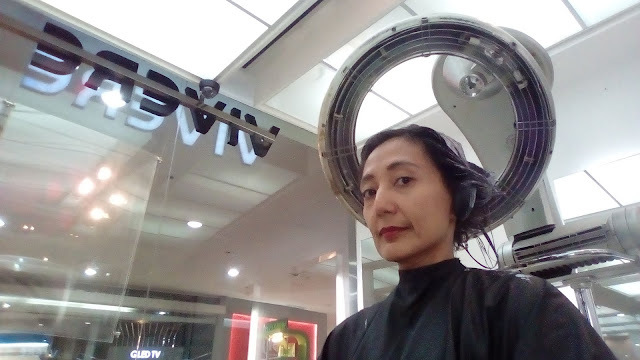 This busy momma needs some ME time... so I headed off to Nail It Vertis North for some awesome pampering. This time, it was a mani-pedi-foot spa experience. It was my second time to enjoy the calming ambience of Nail It. I just so love the pre-dominantly white interior mixed with several purple accents. Purple has been associated with royalty... and I felt so pampered like a royalty every time I visit Nail It Vertis North. Purple also suggests that this pampering place is not only for women... but for men who seek relaxation therapy. 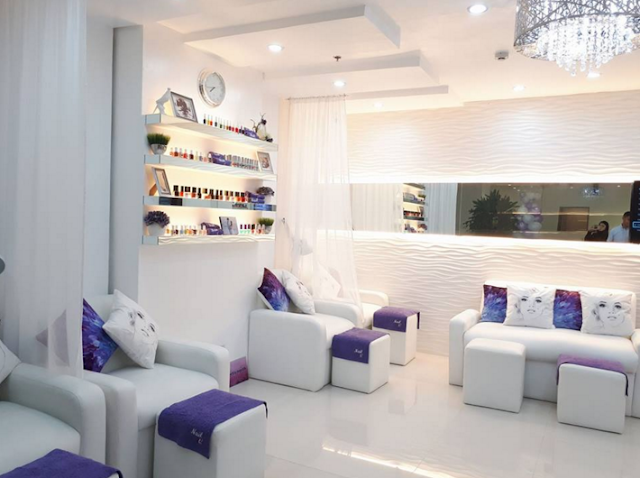 So if you are up for some kind of "royal treatment" for a day -- head to Nail It Vertis North. Having a good night's sleep is very important for us mommies. It will assure us that we wake up fresh and energized to carry on with our everyday tasks. Equally important to each and every family member also. So it is very important to invest in quality beddings. 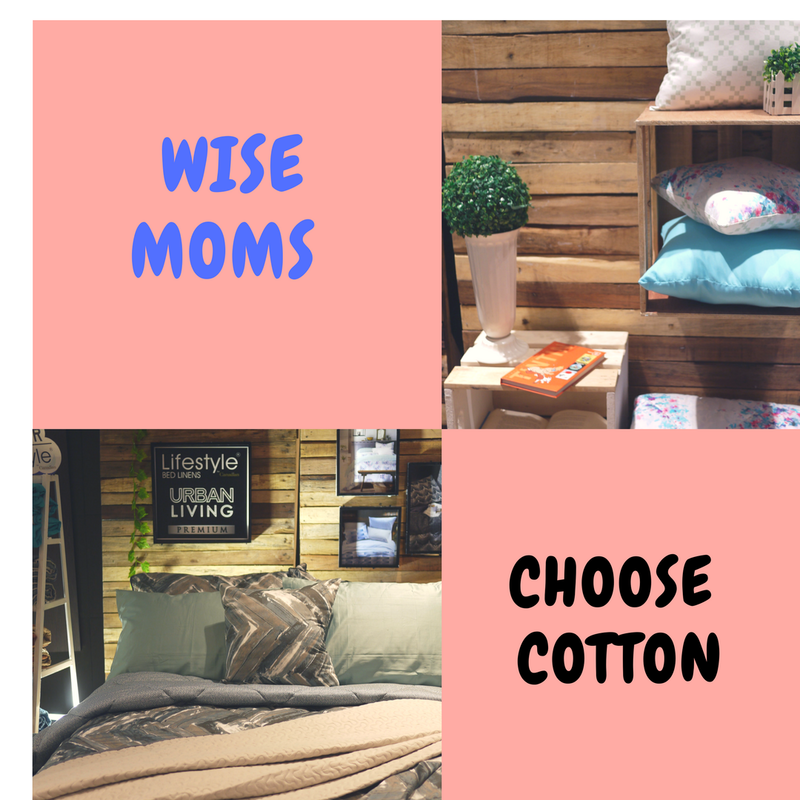 Wise Moms choose COTTON! Cotton is a pure, natural material and is breathable. It will absorb the heat from your body as you sleep in the night. It allows you to stay cool in summer and will keep you warm during the cold BER months. Cotton is naturally hypoallergenic, which is best for someone like me who has many allergies. Investing in cotton beddings will save you money in the long run because it last long and you don't have to wash as often as beddings of synthetic materials. Sleep with peace of mind and help communities achieve sustainable living. Canadian Beddings—the leading manufacturer of bed sheets, comforters, pillowcases, and towels in the country—unveiled its new line of products that will support a movement that aims to promote responsible and sustainable sourcing of cotton worldwide. The company showcased its new products from various brands through a tradeshow that targets at cementing itself as the pioneer of the movement dubbed, #ImCotton, in the Philippines. Do you have dull, frizzy, lifeless hair? I am sure, you always go to the hair salon to have these problems fixed. To have it fixed, you spend lots of money, right? At home, you spend all your time and energy, blow-drying, teasing and curling -- to make your crowning glory presentable and beautiful. 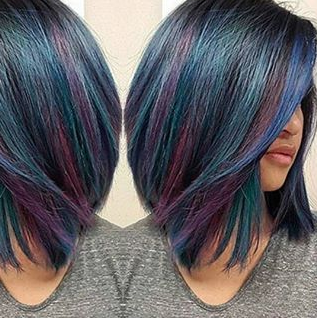 What if I tell you that there is an easy way to achieve great hair... without having to break the bank. 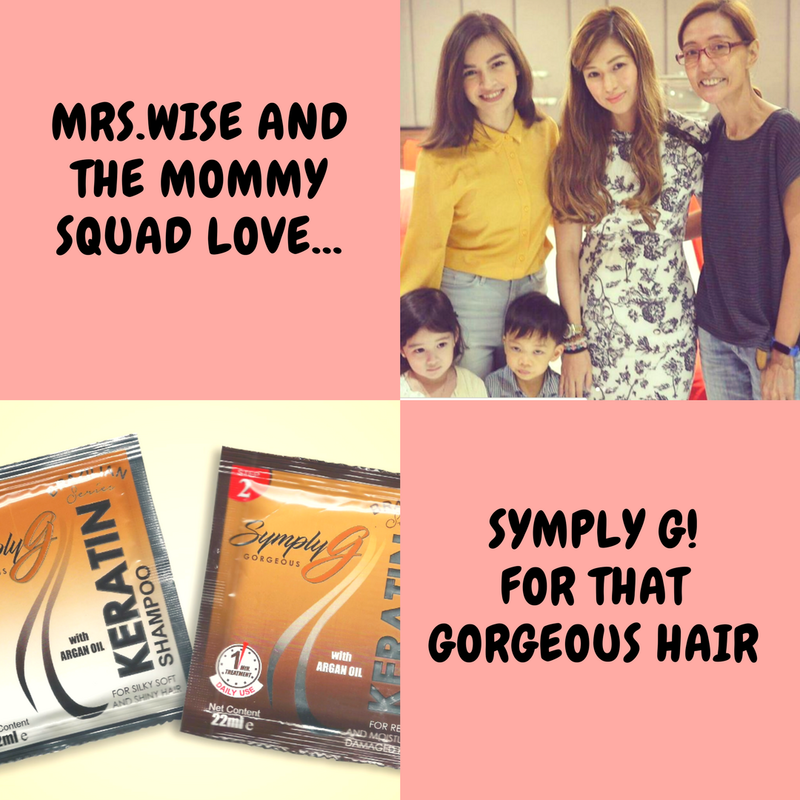 A teaser >>> celebrity moms Say Alonzo and Helga Krapf swore by its wonderful effect on their hair. They said, that they loved the effect of Symply G on their hair. 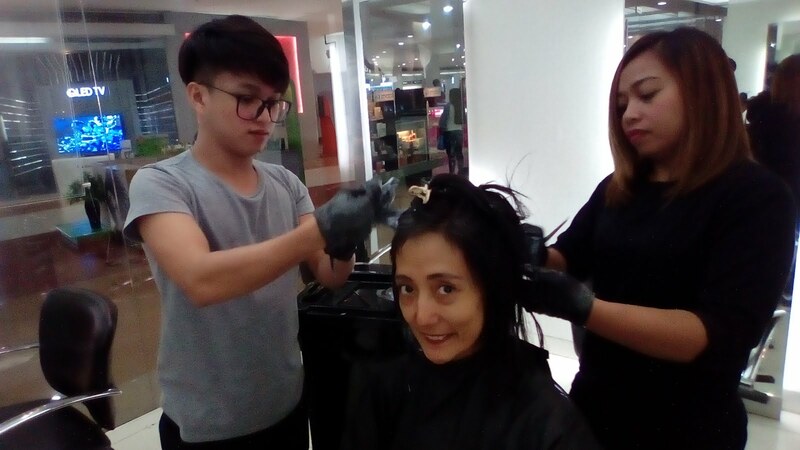 And for busy mommies like the two of them, they raved about not spending too much salon time just to get the gorgeous great hair. 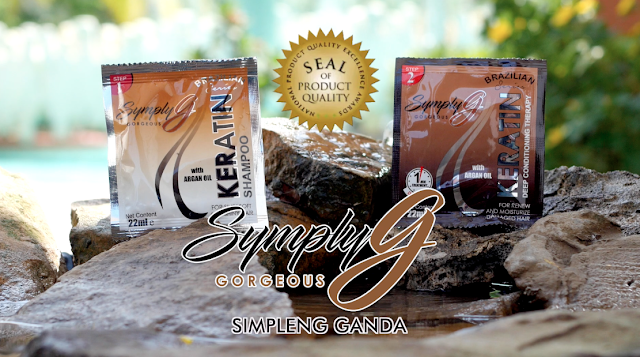 They simply use Symply G shampoo and conditioner. 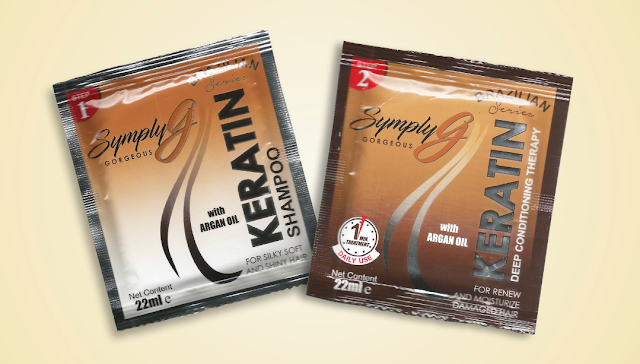 Apply Symply G Keratin Shampoo with Argan Oil on hair. Argan Oil is a natural moisturizer that softens hair, while Keratin is believed to contain vitamins and minerals that repairs hair damage. Who said "vanity" is exclusive to women. With all the beauty products available in the market, products to cleanse and beautify the female population from head to toe, you will think that vanity = women. To which I disagree. In the early 2000s, straight guys who live in the city and splurge their money on anything and everything stylish were called METROSEXUALS. I haven't heard this term used in a while. But personally, Metrosexuals for me are men who knows how to take care of themselves, stylish and well dressed. Back to the present... I learned about a new breed of the male species from the point of view of a new pomade brand -- TONDO X. They said, "In urban Manila people from Tondo are considered street smart and tough, growing up on the streets and wary of street gangs who emanate from the surrounding slums. The TondoX man is an evolved hunter, gatherer and fighter who does what it takes to provide for his family. He is also an old school Macho Man. As he goes about his daily business, he has no problem with appearing as saksakan ng guwapo! Now tell me... reading that profile, it will somehow give you the idea that Tondo X was describing Robin Padilla right? Tondo X is a line of natural and organic products developed specifically for this type of Filipino male. Here’s the deal. 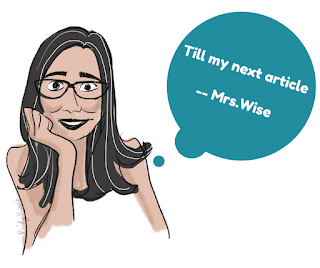 When I started blogging a year and a half ago, I just write about personal experiences and interests. But as my blogging life progressed, invites to media launches and press conferences came in frequently – where I got to mingle with fellow bloggers, PR people and brands/clients. This became a concern already. Why? My dear readers, I must confess. I am not the “OOTD” type of a person. I go to events with a keen interest to learn more and find creative ways to disseminate info. Am not really the type of person who will make extra effort to “glam up” for events. I am now learning the value of dressing up and fixing myself to at least look presentable when going to events and meeting new people. Its not really about how expensive my clothes are, or are they the current trend! It is knowing what looks good on me, what flatters my body type; classic designs that won’t fade thru time. And yes... 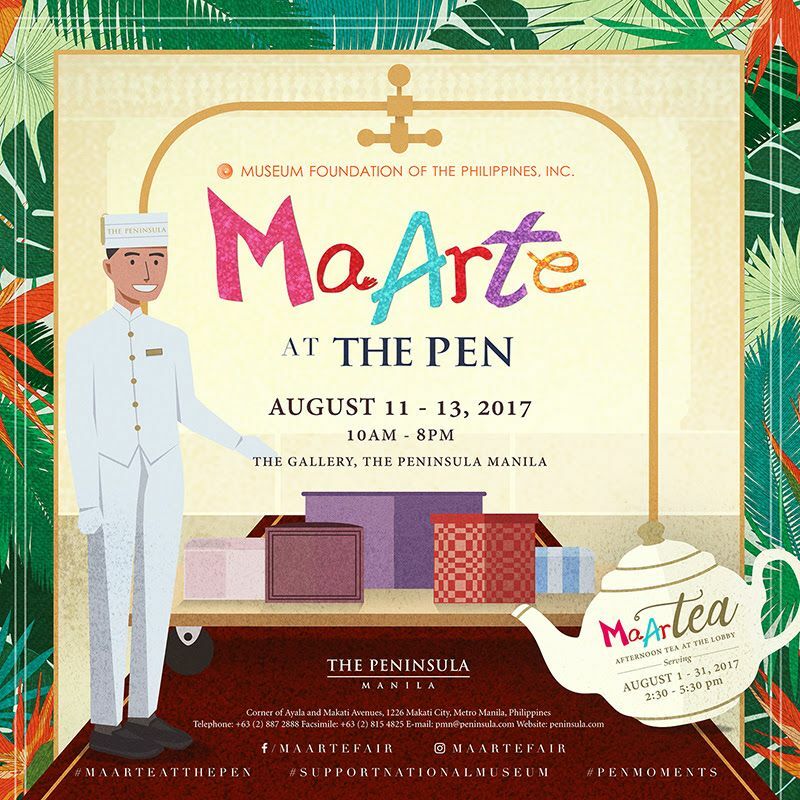 I am very particular in choosing Philippine made! Good thing I went to this year’s MaArte Fair at the Manila Peninsula. There I discovered a brand that I instantly fell in love with – CHILL BY NOOKS! Chill By Nooks is a Filipino knitwear company. A pioneer in the development of pineapple fiber as yarns for textile. A good number of their knitters have been with the company for an average of 8-10 years. These creative, highly skilled workers studied the craft for years. So when you buy a dress, shawl, scarf – you are assured that every stitch is made by hand by these knitters. You truly get quality and elegantly designed knitted products. 2) the design, the vibrant colors are very Filipino; you will be proud wearing it here and more, abroad. 3) Really affordable. Because the classic design has a timeless aesthetic value. Definitely not a “flash-in-the-pan-design” which you cannot wear after a season. 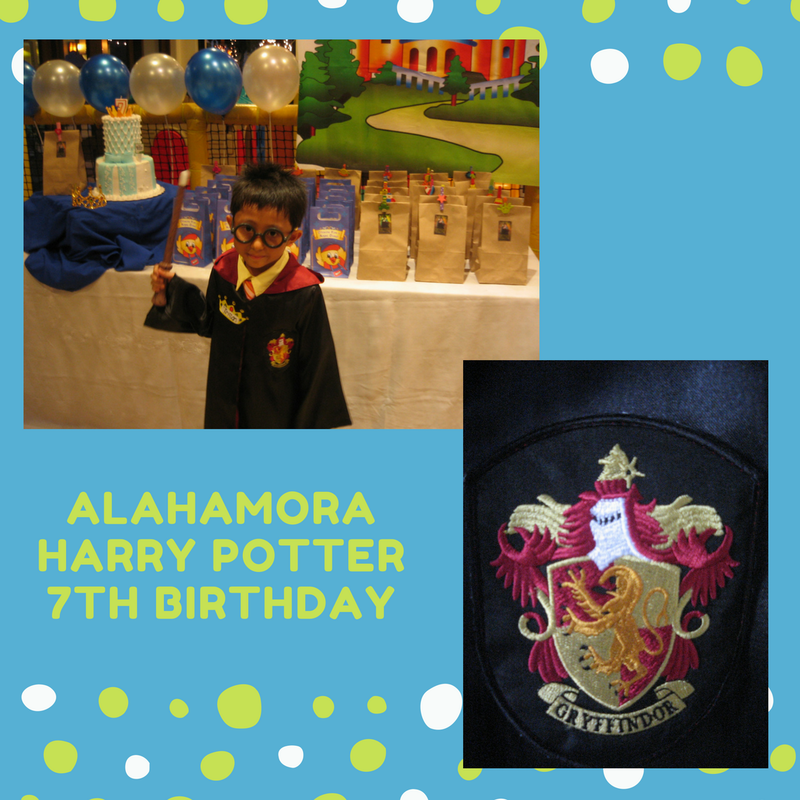 Birthdays will always be important. In our family, we have a tradition, that we need to mount a birthday party during our kids' first and 7th birthdays. Those were two memorable milestones in their lives. 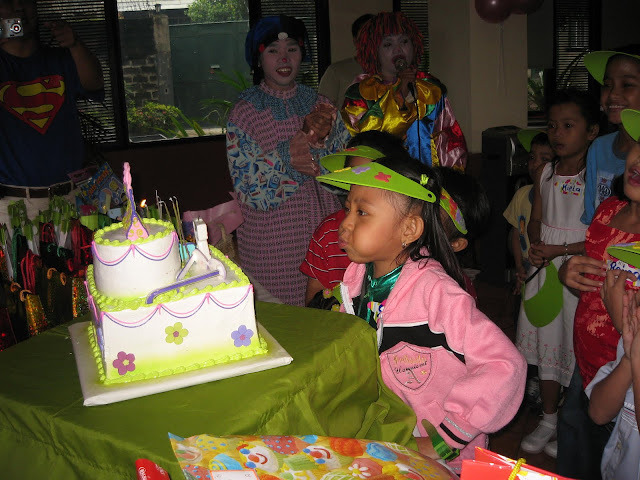 Ate celebrated her 7th birthday at Max's. 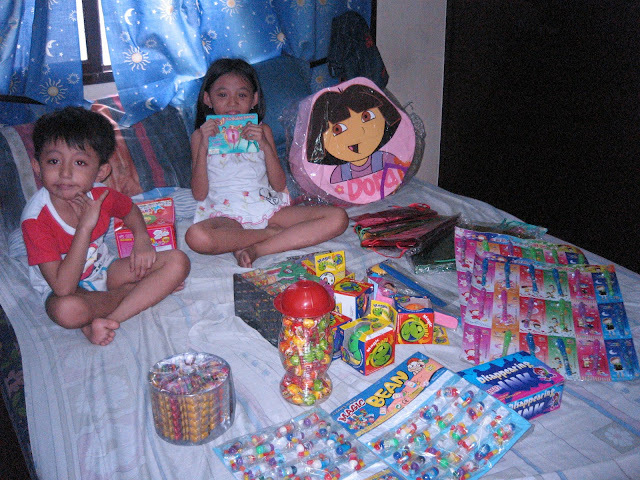 I remembered buying additional giveaways in Divisoria for this event. 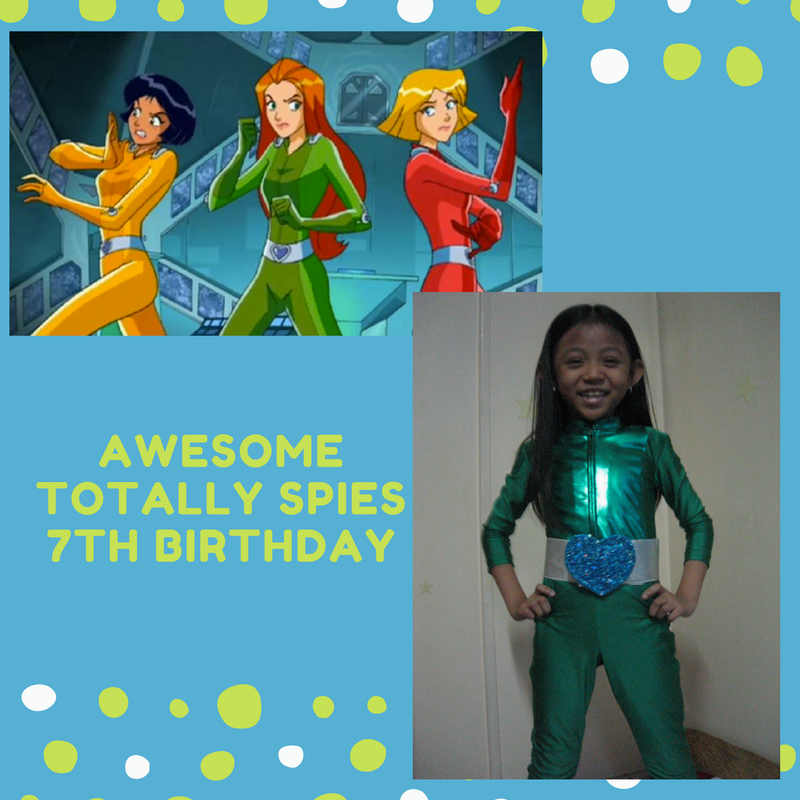 Ate wanted to be "Sam" of Totally Spies and had her costume custom made. We hired clowns. And she had a blast! 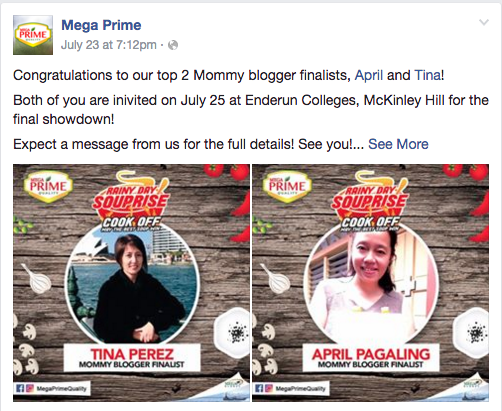 MY MEGA PRIME COOK-OFF EXPERIENCE... FROM NEWBIE COOK TO BIG WINNER! A year and a half into blogging, I did not imagine myself to be writing an article about a cook-off experience. Oh no! Not me... I am not an expert in the kitchen. Mid July, I received an email from Alvin of PRC, Inc. inviting me to join their campaign, Mega Prime Mushroom's Rainy Day Souprise. I will be in the category of mommy bloggers. I am required to post an article (and promote it on Facebook using photos) of an original soup recipe using mushrooms. 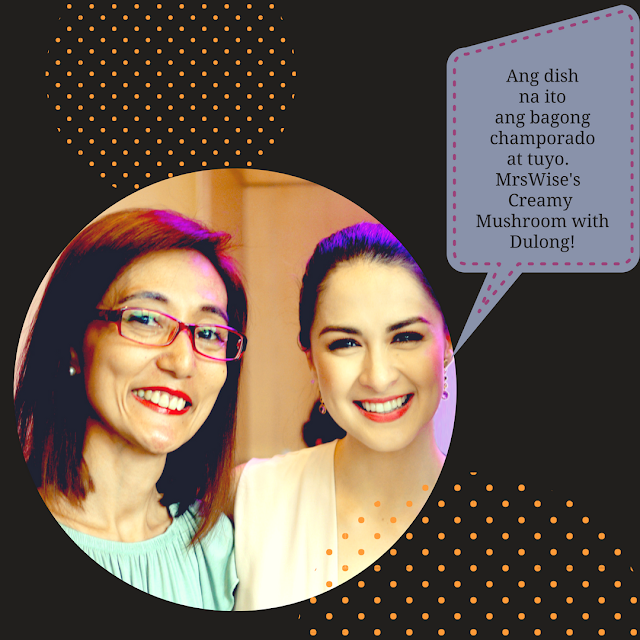 And I thought: "meron pa bang original mushroom recipe? Na wala pa sa internet?" I remember emailing Alvin back, asking if he is serious that an original recipe is a requirement. Told him am not even a kitchen expert to start with. I also asked him what will happen on July 25, as stated in the email. He replied "July 25 is the actual cook off during Mega Prime's event. Hindi naman po kailangan na expert kayo sa kusina. To this my reaction was: A cook-off...serious? Ano ito? Iron Chef meets Masterchef meets Hell's Kitchen. Whoa! After 2 days, I emailed Alvin back, saying... Ok I will give it a try. My exact words, "Oh, I don't think I can reach naman the finals because I am not that expert as a cook. But I am interested in trying out the products." Fast forward to that day my husband shot my video (yes, it is a requirement too. that I include in the article a video of myself cooking the soup). Dilemna: what to cook? Then I thought of Dulong, which I love to eat with steamed tomatoes. How did I come up with the idea of including Dulong as a secret ingredient, read THE STORY HERE. I thought shooting the video was the hardest requirement (my husband is a professional video editor) and he won't settle for haphazard style of editing and shooting). But no! 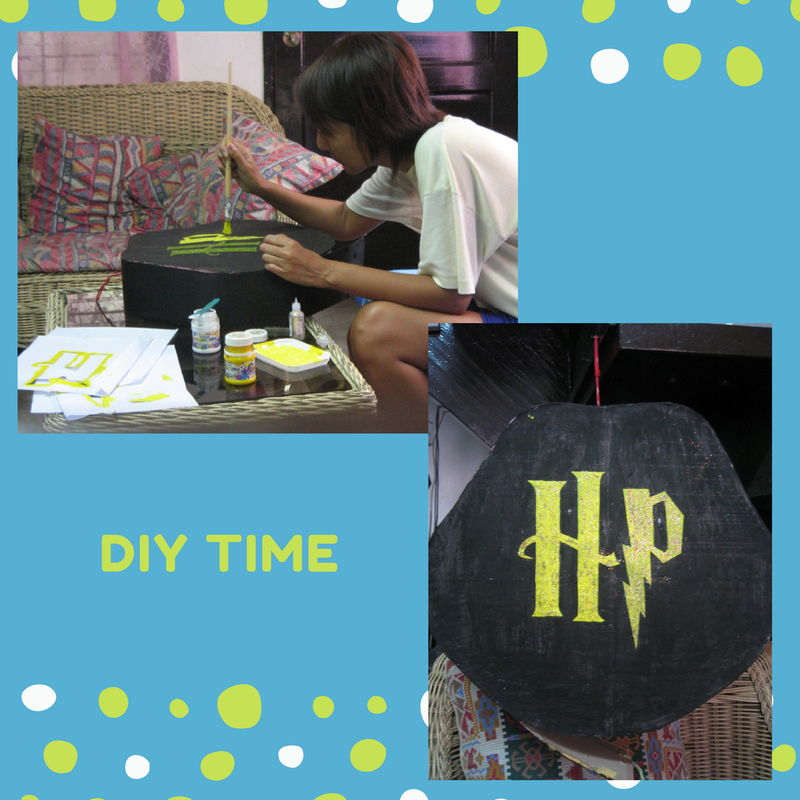 There was editing, taking a photo of the finished product, and eventually, promoting on facebook my entry. Slowly... what has started for me as mere "sige na nga try ko lang", became, hmm.... "ginusto ko ito I might as well be competetive. I would have to admit, the prizes are big. Cash, GCs, and mega prime products. So push! The first deadline posted on facebook was July 20, which was later moved to July 23. That Sunday, the finalists were announced! Monday was SONA day, and I can't go out of the house. So I asked the hubby to buy me my ingredients that I will bring to the cook off. Meeting my co-mommy blogger April, and Prime Moms, Des and Apple was memorable. We were like kids having fun in the kitchen. 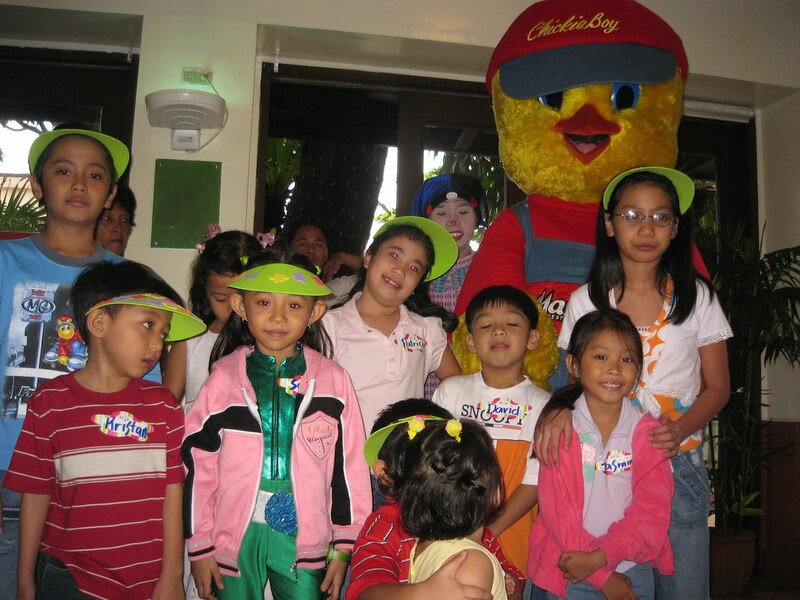 I remember asking for kitchen napkins from Mommy Des and used Mommy April's cooking oil. We were not at all competing. We were just chatting and savoring the experience. After the cook-off and we have plated our dishes... we waited for the host to call us one by one, to present our dishes. The judges for the day: Marian Rivera, Chef Nino Logarta and Mega Prime Executives. A few minutes after the announcement of the winner, Marian told me... "kayong dalawa nung winner ang favorite ko. Tie score niyo sa akin eh. Panalo ang Dulong." 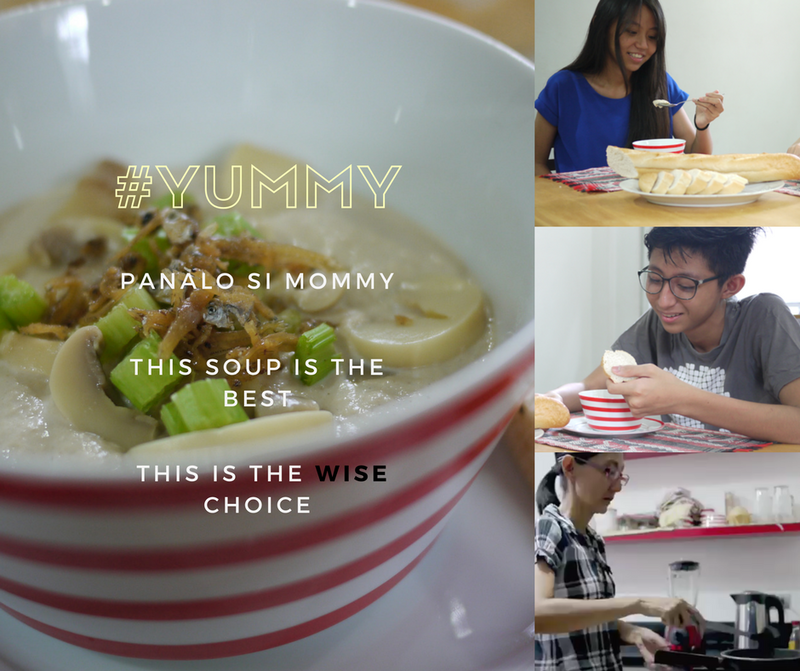 Oh my, at least it validated the taste of my Creamy Mushroom Soup with a twist hahaha! So I guess... I am no kitchen expert. But I have two memorable experiences related to cooking this year. First, was when I cooked for Coco Martin and then my super saya Mega Prime Cook-Off Experience. Looking forward to my 3rd cooking story!! !